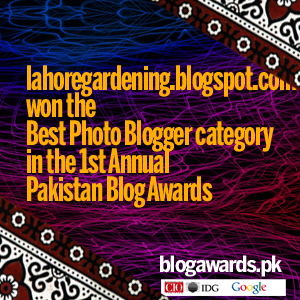 I love flowering bulbs and fall is the best time to plant spring flowering bulbs in warm climates like lahore. I avoid planting bulbs like tulip, puschkinia, fritillaria, scilla, hyacinth etc as they do not grow well in our short and mild winters. We do however force hyacinth bulbs easily. 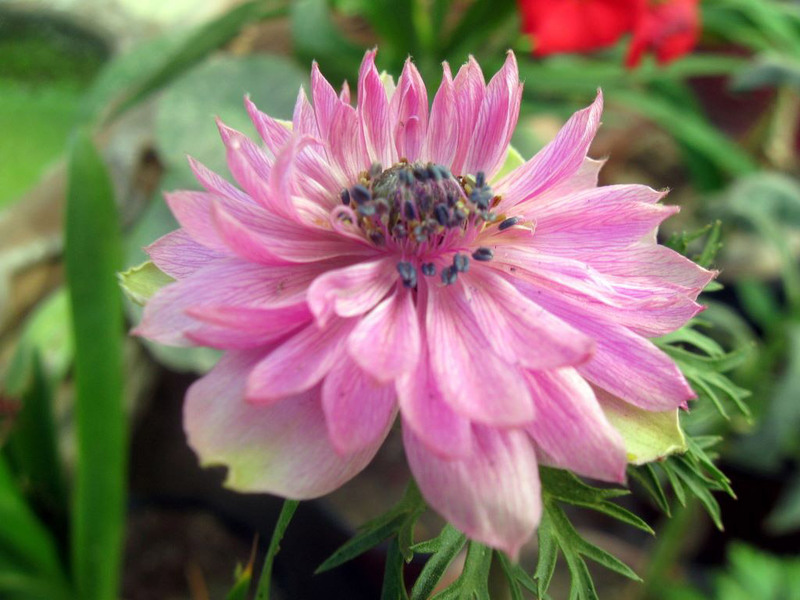 Today i will share with you tips for growing flowering bulbs in warm climates – Anemone. This is a series of more than 10 flowering bulbs suitable to warm climates having mild winters and tough summers. These are the ones which i bought this November from lahore and planted them in containers. You might notice most of them are south african or australian natives. 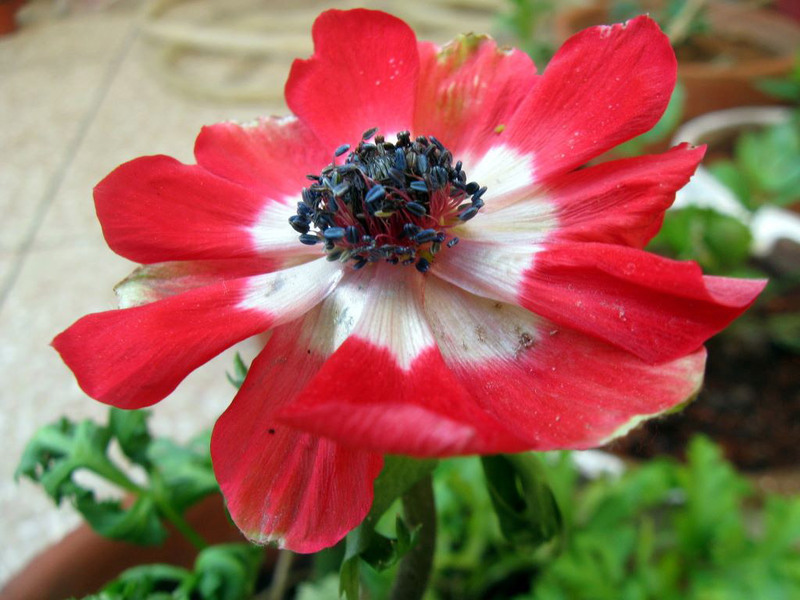 First one of the series is anemone coronaria. Price of each tuber is around 20Rs this year.I do not plant all tubers at same time but in regular intervals so that supply of flowers is continuous in spring. 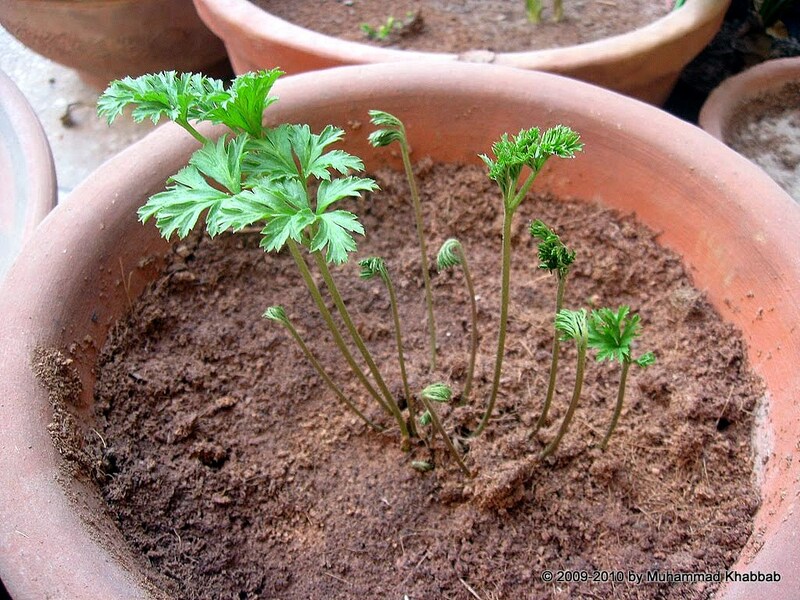 Remember that most of the plants in Ranunculus family do well here. Here it goes. 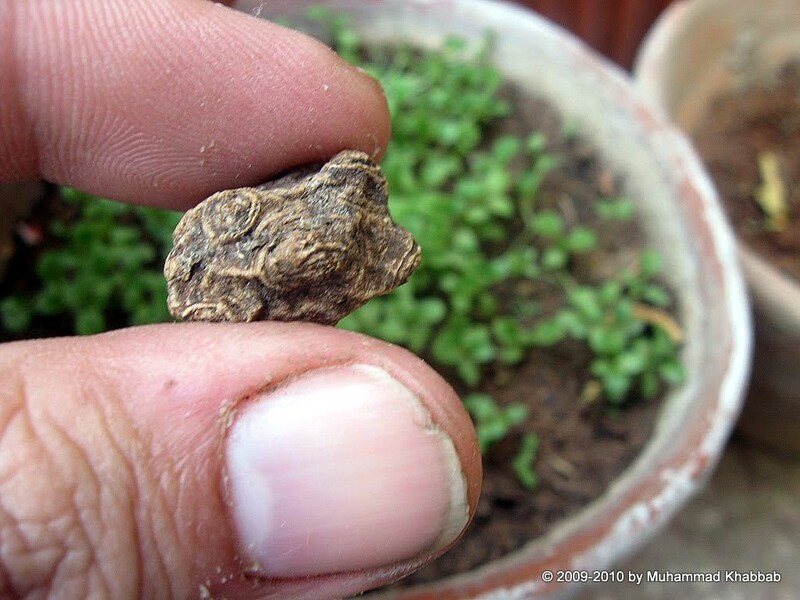 This is the tuber which is very tiny. Remember as in case of choosing a bulbs/tuber/corm, choose the biggest and fattest one. Large one will produce big flowers. This is a must in our climate and i buy at least half a dozen tubers of various colors. We buy these in Start of November. 2- Bury in a pot full of sand (yes, sand only). Bury the tubers few inches deep in sand. Do not worry up side or downside planting, it will work both ways. Water it thoroughly and keep it in sand for about a week or so. do not let sand dry out and keep it moist. This is the same tuber after 10 days, swollen and roots sprouted. you can also see the leaves shoots sprouting. Now you also know which side to plant down and which side up. 4- This is the situation after another 15 days. you can see leaves, stems emerging. They should start flowering in next month i guess, waiting anxiously. Give them mild liquid fertilizer when buds form. I will update as soon as this happens. Remember you can save the tubers for next year as well, although i am not sure they will perform equally well as young and fresh corms are generally more vigorous. After the flowers fade in march/april, and green color of leaves start to fade, cut the foliage and dry the tubers in shade. Keep in cool and dry place. And last but not least, anemones are also propagated by seeds and guess what the flowers are larger as compared to the ones from tubers. But they take lot of time to germinate and come to flowering. 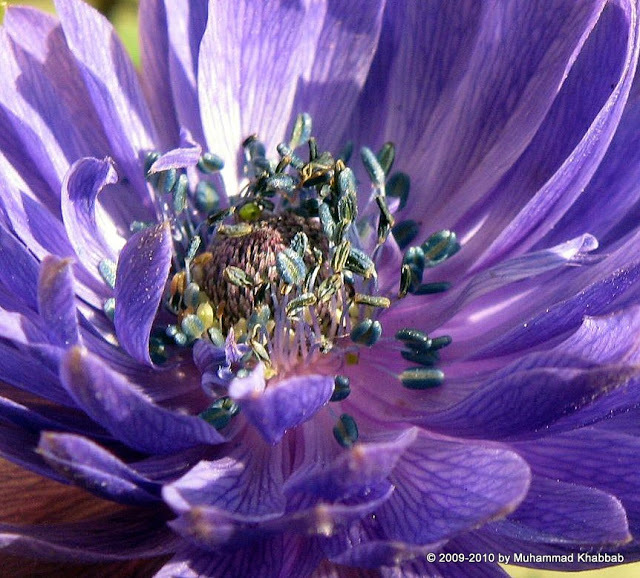 Blue anemone is probably the prettiest of all and early bloomer than other colors . What about this pink one? looking so lovely but way behind the blue one above. 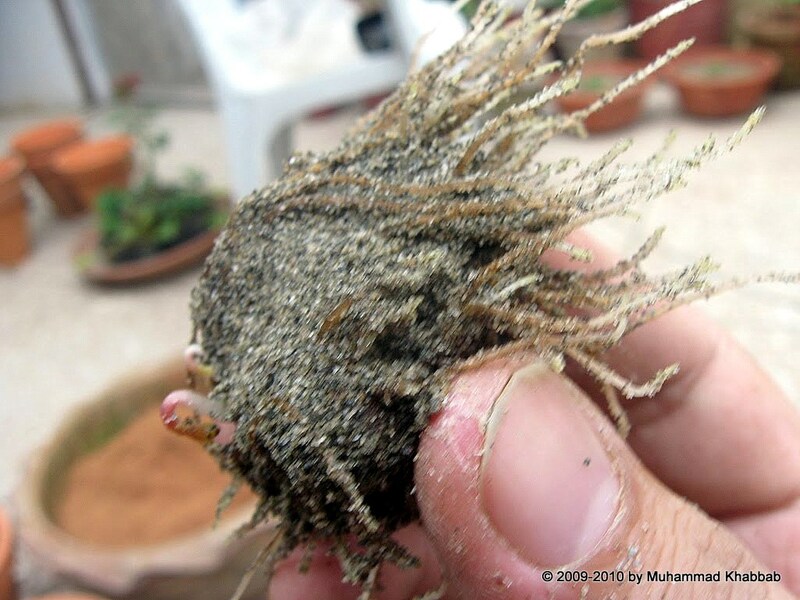 Great post Khabbab, Good luck with your anemone tubers! Will wait to see them in blooms! Very instructive post. I had once planted hyacynth which someone had brought for me from Canada, but it gave only leaves. This is a great post! I am printing it out for future use, and I am going to watch for the rest of the series. We grow the same bulbs you grow, I would bet. What useful information. Especially for someone like me who lives in a warm climate. I would like to try growing bulbs and now I can use your information to try. What an informative post!!! I’ve never taken such care with bulbs. Perhaps that’s why I don’t have as good luck with them as you. I will try what you say and look forward to more such posts. Thanks, Khabbab!!! Very instructive! I’ve not dared to try growing these cool weather bulbs. Mainly because they’re not easily available here as far as I know. This plant is on my list. Thanks for the information! Well done! You packed a lot of great info into this post. Nicely done! I currently have about seven hundred of those cold loving bulbs sitting on my front porch waiting to get into some dirt so they can do their thing. Viva la bulbs…of any kind. Thanks to your detailed and informative post, I now think that growing bulbs is a great idea too. That reminds me that I need to find some arrowheads to grow for my New Year season. Cheers to you Khabbab! 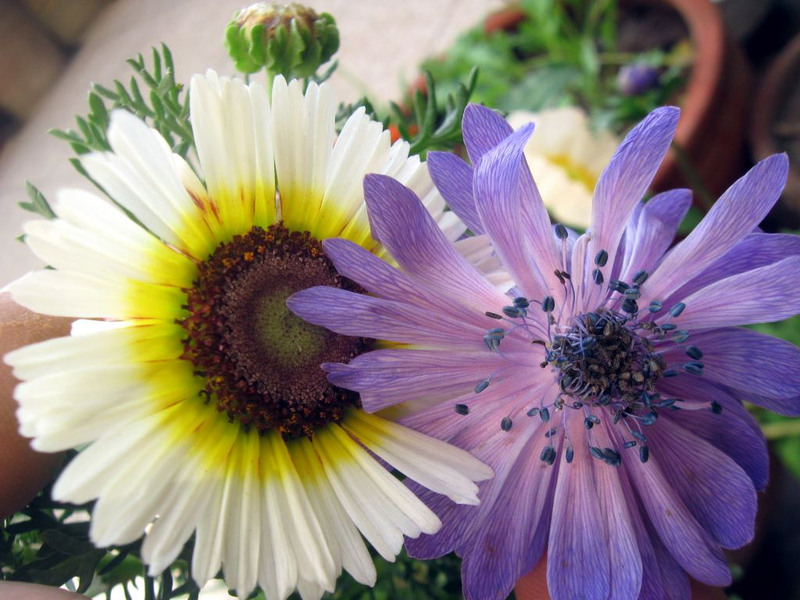 Its Izhar from Karachi, do you think anemones and rannunculus will perform good at Karachi in winters? Hello Khabbab, I grow the same varieties of anemone, always pleased with results. Found thirty bulbs today which are soaking prior to planting but after reading your excellent post plan to start some of them off in sand tomorrow.